With the help of Chief Financial Officer Mark Thomson, Measurement Specialties, a designer and manufacturer of sensors and sensor-based systems based in Hampton, is expected to generate $540 million in annual sales in its current fiscal year, a 30 percent increase over the year before. Even better news for the company’s shareholders has been the increase in the company’s stock price, which has more than doubled in the past two years. In late June, Switzerland-based electronic component manufacturer TE Connectivity announced plans to buy Measurement Specialties for $86 a share. The $1.7 billion deal is expected to close by the end of this year. Measurement Specialties makes sensors that measure pressure, vibration, temperature and humidity in a wide range of products, including vehicles, home appliances and airplanes. Once the acquisition is final, TE Connectivity will become one of the largest producers of sensors in the world. Thomson will stay on with TE Connectivity through a 12-month transition period. After that, his future is as yet unknown. “It’s a big company, so they may have positions that I may have some interest in that I will evaluate as they come about,” he says. Measurement Specialties today has more than 3,000 employees working at more than 20 sites in the U.S., Europe and Asia. Thomson is a graduate of Harvard Business School’s general management program and holds an MBA from the University of Nevada, Reno. 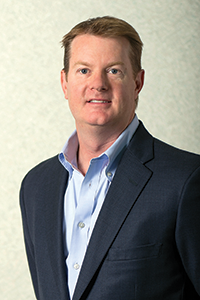 Before his tenure with Measurement Specialties, Thomson served as vice president and CFO of Newport News-based Allied Aerospace Industries, a provider of engineering solutions for aerospace and defense contractors and government agencies. Thomson joined Measurement Specialties in 2007. “The business clearly had an opportunity to grow organically and through acquisitions,” he recalls. Thomson streamlined the company’s treasury structure, improved its analytics tools and helped guide the company through 14 acquisitions, more than doubling revenues during his tenure. In 2013, Thomson’s job duties expanded to include oversight of Measurement Specialties’ IT and best practices/integration teams. Last year, the company achieved several milestones, including reaching a market capitalization of $1 billion. It also appeared on Forbes magazine’s list of 100 top-performing public companies in the U.S. with sales under $1 billion and Fortune magazine’s list of 100 fastest-growing companies. “These accolades are a testament to Mark’s outstanding contributions as a CFO, possessing a rare blend of broad-based accounting and finance experience, maturity and leadership skills, with a high degree of passion, energy and a get-it-done attitude,” the company CEO Frank Guidone said in nominating Thomson for the Virginia CFO Awards.